Very easy to install and the speakers sound good as new. I would recommend this item to anyone. Great product. Have used these repair kits before and will use them again.If you follow the direction carefully your speakers will turn out really good. Easy to install and brings new life to old Bose speakers. Fit my model perfectly. Thanks for another home run, Simply Speakers! 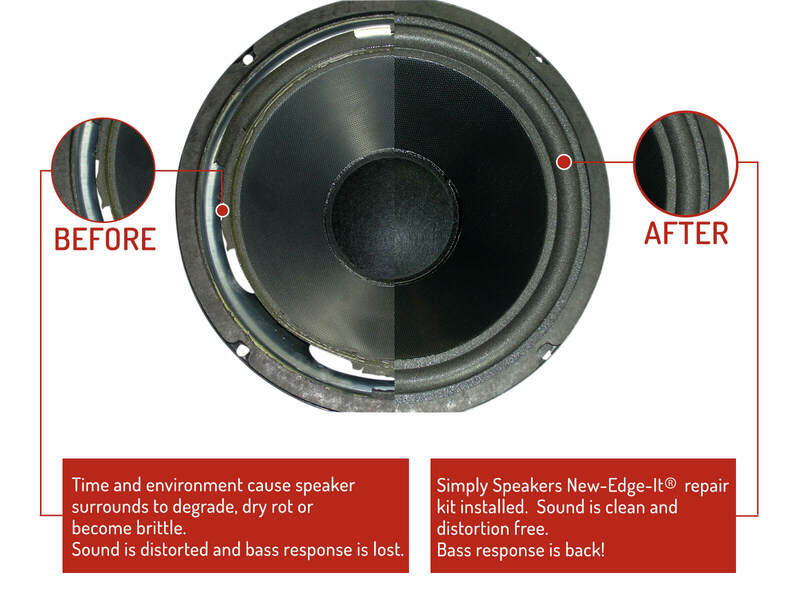 I highly recommend Simply Speakers repair kits for anyone with older speakers that sound like the speaker is bad. Using the procedures provided with the kit, I removed the old almost disintegrated foam from my old speakers and replaced them with the new foam kit. It takes a little time, but it's worth it! My speakers now sound as good as new. Excellent instructions. Two Bose 501 series IV woofers re-edged with no difficulties. They sound as good as new now. Showed up on time and everything was included. I was using it to repair my classic Bose 501's (the foam was gone after too many years in the garage). Worked like a charm and the included instruction manual was a bonus (really cut down repair time). The foam was easy to apply. Speakers sound great after being out of commission for a couple of years. Excellent product, but wish I'd watched the video first, as I hurried the process incorrectly. However, nothing bad happened. Speakers sound like new and very pleased with purchase. 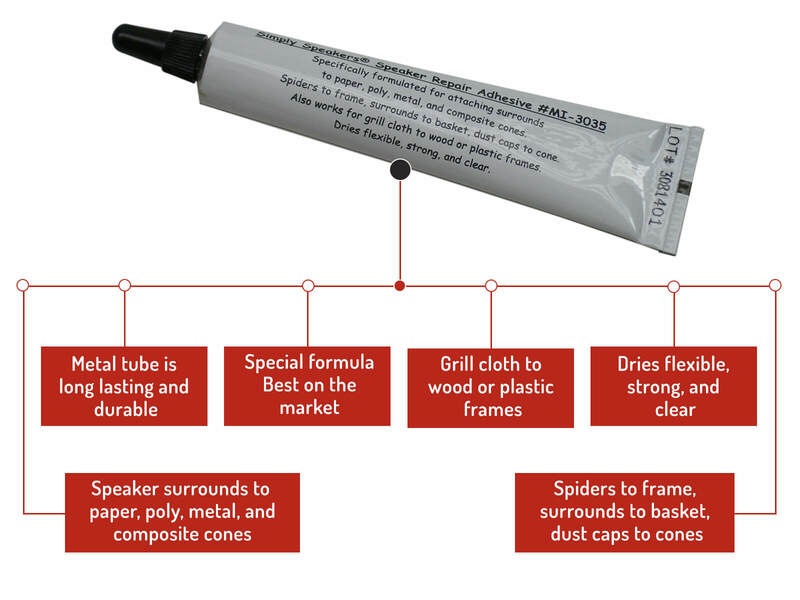 Plenty of glue left over; a real plus. I'd buy this product again. A tip: use latex gloves to prevent glue from sticking to fingers. My Bose 301s had been in storage and the original bass driver foam had decomposed in bottom of cabinet. However, the tweeters were amazingly still intact. The foam kit and sealer installed on the bass driver with no issues. The on line video was very helpful in preparing and installing the kit. I am so pleased to have the pair back in operation. I love their clear vibrant highs produced. If need anything in future, will contact you guys first. 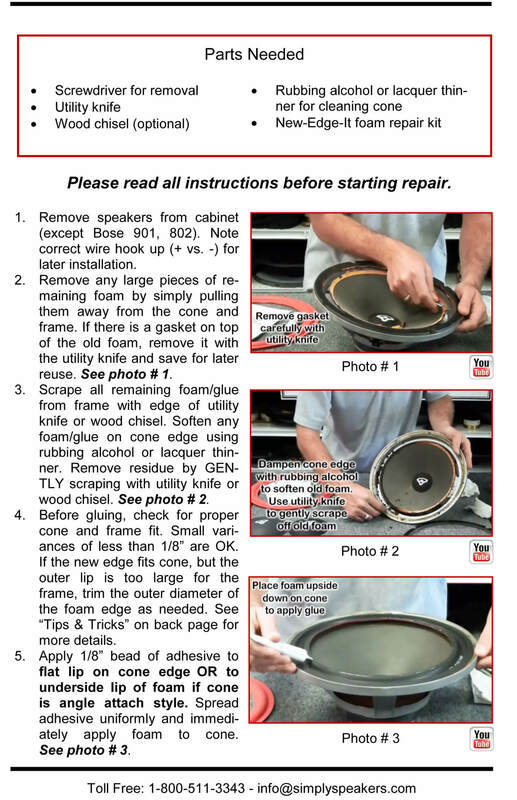 Q: Will my Bose 501 speakers, having distortion, fit/work with this speaker repair kit? A: Yes, this repair it will take care of any issues regarding distortion caused by the cone edge deteriorating. 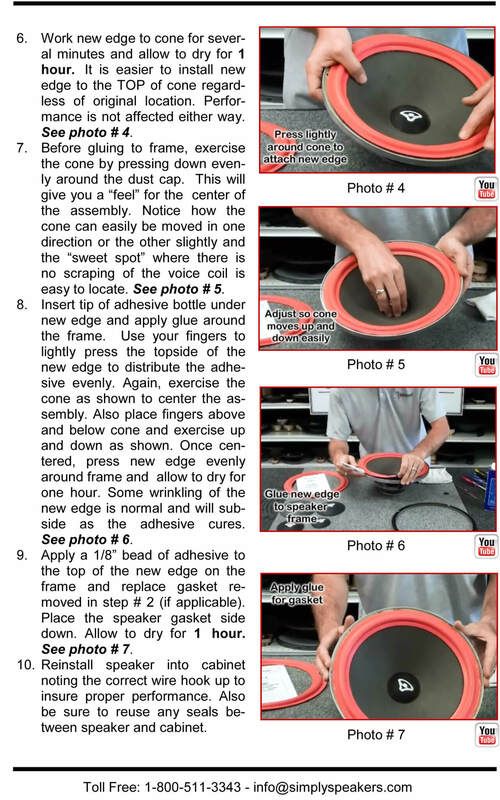 Remove your speaker grills to visibly inspect the speaker cones. You should see the area around the perimeter of the cone starting to flake and crumble. 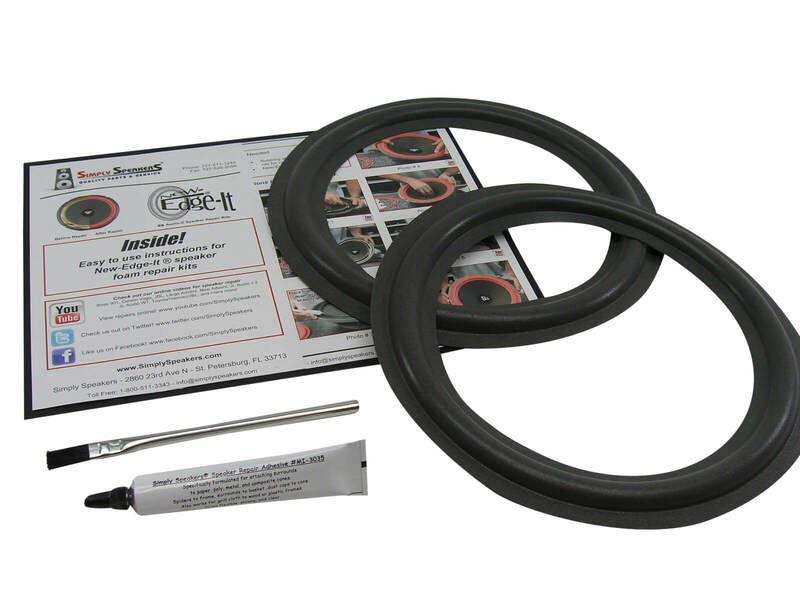 We sell two versions of the 10" Bose woofer repair kit, part # FSK-10A and part # FSK-10F. Check your model's series number before ordering to be sure you receive the correct version. Q: You have listed for the Bose 10" a FSK-10A and a FSk-10f what is the difference? A: The last letter of the part number designates the attachment style to the cone. F is for flat, and A is for angle. 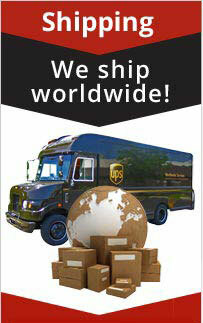 Bose makes both types and we sell both types. 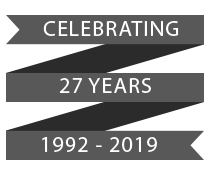 Be sure to check your series number before ordering, or simply look at the diagram on the "How To" link on our website. 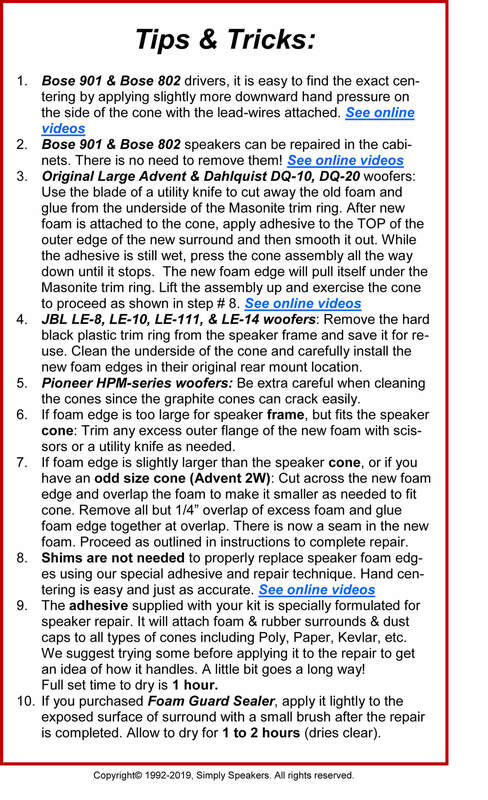 Q: Which foam repair kit is appropriate to the Bose Omnivector Model 2: FSK-10A or FSK-10F? Thanks! A: Thanks. We use kit # FSK-10A for your Bose model. 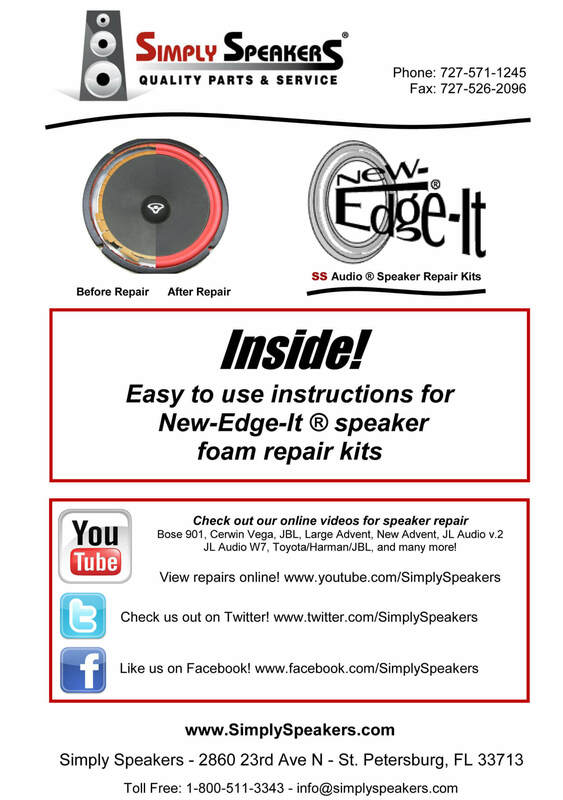 A: Yes, this is the correct foam edge replacement kit for your Bose speaker model. Q: Is this the right kit for 501 mark II? 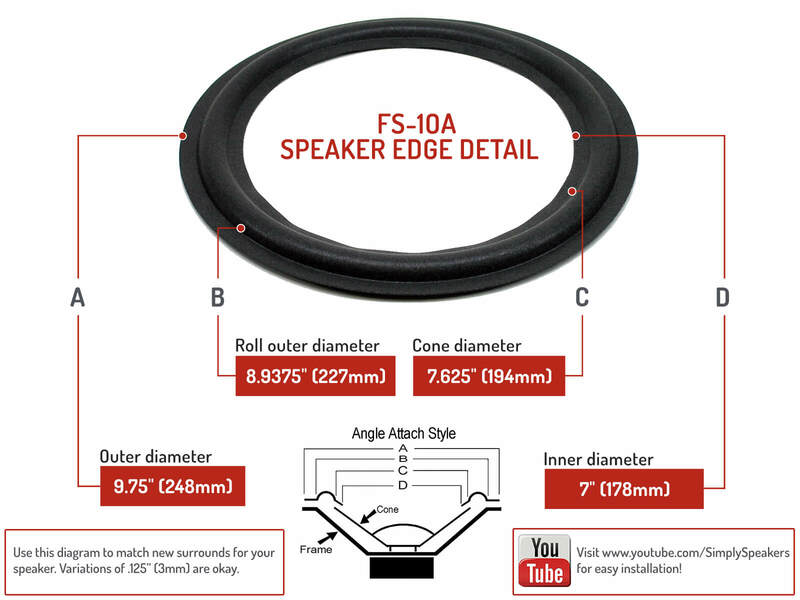 A: For the Bose 501, series II, please order woofer repair kit # BSE-FSK-10F. Thanks! Q: Looking to re-foam my Bose 501 (series 3) 10" speakers will this fit correctly? A: Yes, this is the correct kit for the Bose 501 III. Thanks! Q: I have a pair of Bose 501 4 ohm speakers that were purchased in the late 1970"s. The serial number is #45246. The woofer measures 10" across. What foam replace kit do I need? Can the foam be replaced with cutting the speaker wires? Thanks. Bose: 117934, 501 Series III, 501 Series IV, InterAudio 4000 XL, Omnivector Model 1, SA-1000, SA1000, SA-500 (InterAudio), SA500, and many more!